Right-click the Start menu and select Device Manager. Navigate to Imaging devices and expend to sub-menu in order to find camera. If it’s not there, check Sound, video and game controllers tab. 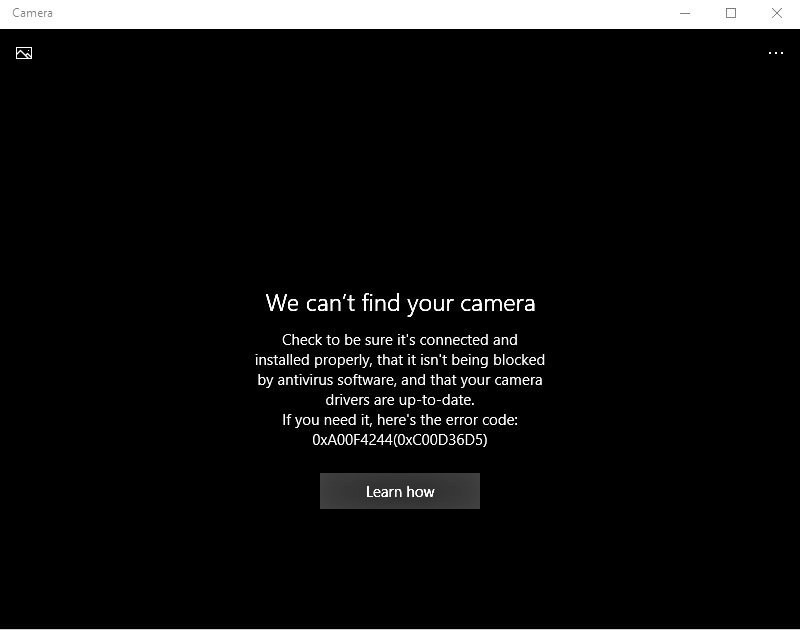 Right-click on the camera device and select Update driver. Note: Normally, Windows Update will provide with the drivers, but download drivers from the official site of the equipment manufacturer is always best choice. Note: If camera driver is up to date but the issue is resilient, it might the latest driver update not compatible with the camera. In this case, you should try and rollback the camera driver. Right-click the Start menu and choose Device Manager. Right-click on the camera device and select Properties. Click on Driver tab and select “Roll Back Driver” button. Scroll to the bottom and click on Windows Store Apps. Click on the Run the troubleshooter button. If there are any app-related issues, this troubleshooter should address them accordingly. Sometimes there are indeed spyware programs that could take control the PC camera. So, perform scanning to PC is always important. Launch Windows Defender from the notification area. PC will restart and the scanning procedure should commence. Open Virus & threat protection settings and enable the Cloud-based protection. Reboot PC and open the camera. Some PC cameras not compatible with Windows 10 due to difference in encoding standards (MJPEG or H264 replaced by YUY2 format). In the Windows Search bar, type regedit. Right-click the Registry Editor and run it as an administrator. Click on File, choose Export, and backup your registry. If something goes wrong, you can restore it with ease. In addition, you can create a Restore Point, just in case. Right-click in the right window and choose New > DWORD (32) Value. Right-click and choose to Modify this newly created registry value. Set its value to 0 (zero) and save changes.